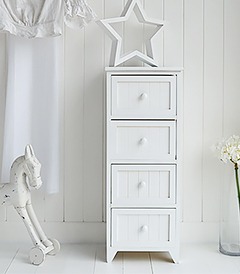 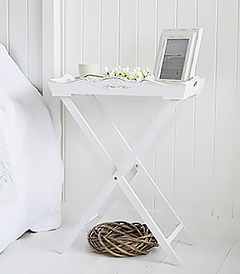 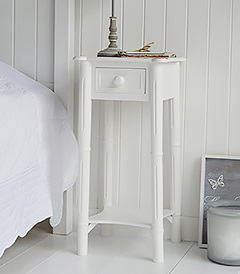 White bedroom furniture is a classic choice for every style and colour of room. 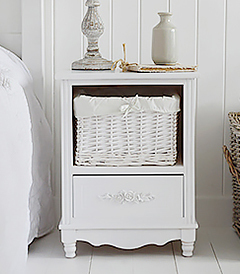 It has become such a popular option over the years as a timeless addition to all bedrooms that will last for years. 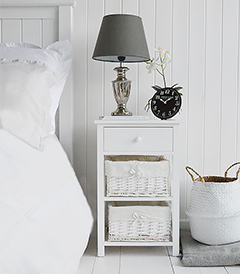 Even as your tastes evolve over time, changing accessories, wall colourings and soft furnishings will ensure your bedroom will change with you. 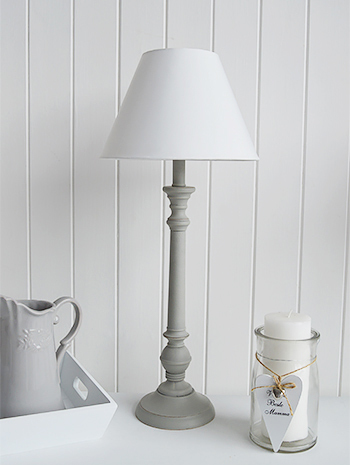 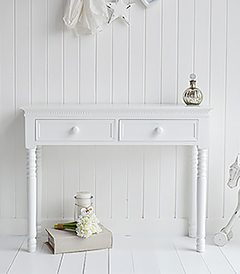 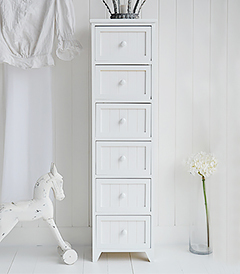 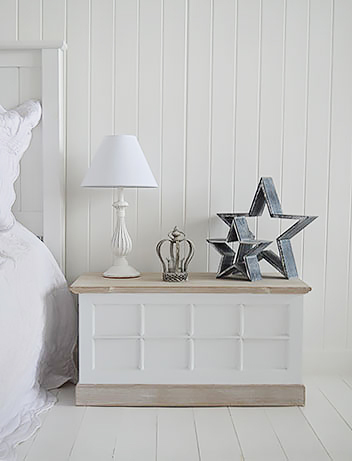 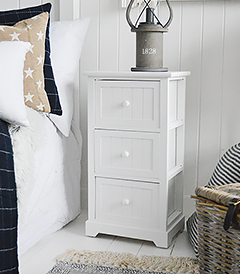 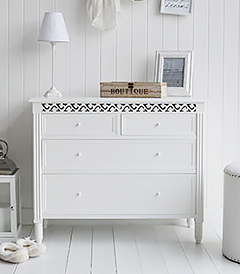 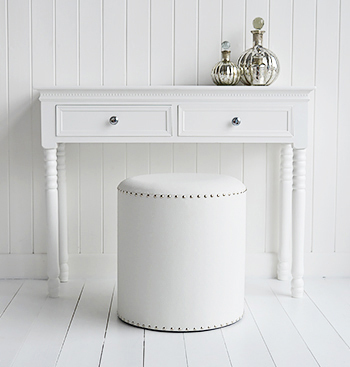 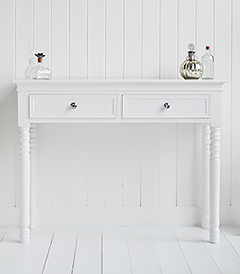 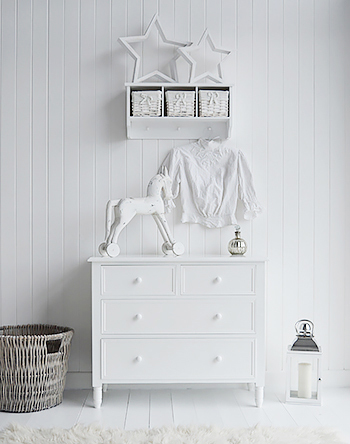 Our New England White Bedroom Furniture. 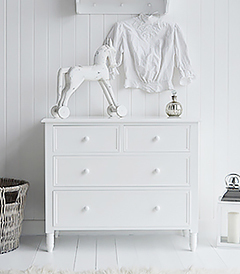 A simple but impressive range of bedroom storage including chests of drawers, dressing tables, stools, mirrors, bedside cabinets and tables. 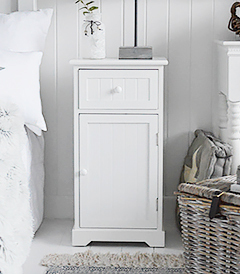 An all white bedroom? 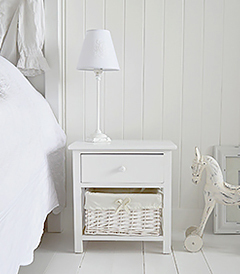 ... A white bedroom is the epitomy of camlmess and serentiy. 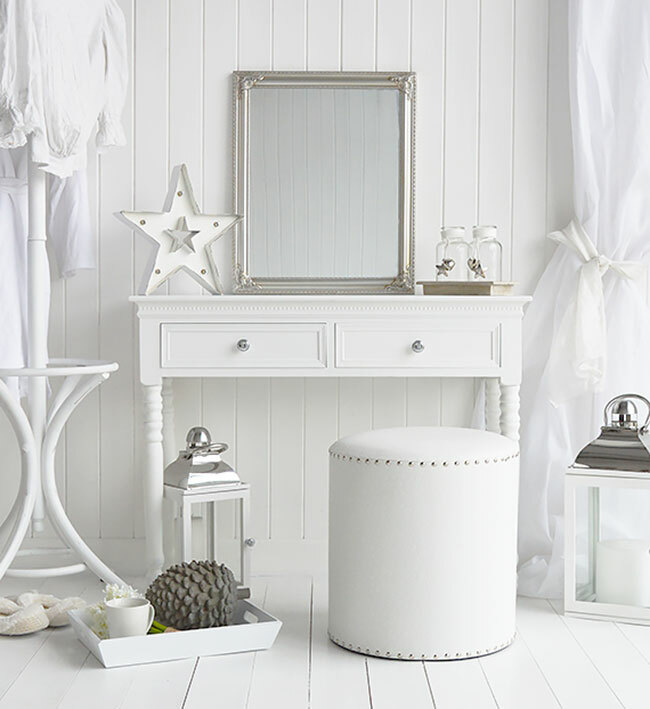 White furniture looks warming and inviting. 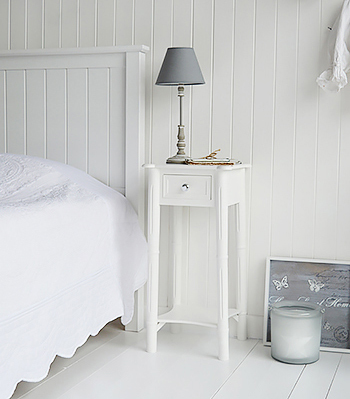 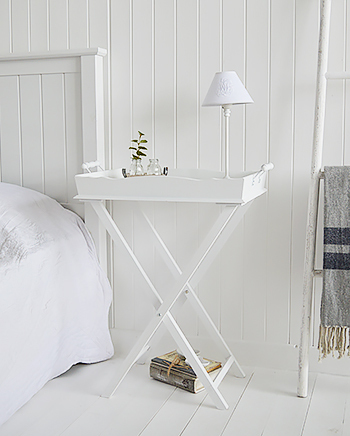 Some advice on how to create your very own typical New England style bedroom. 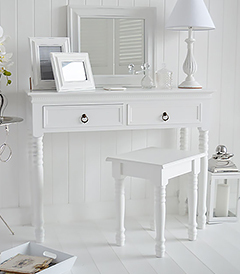 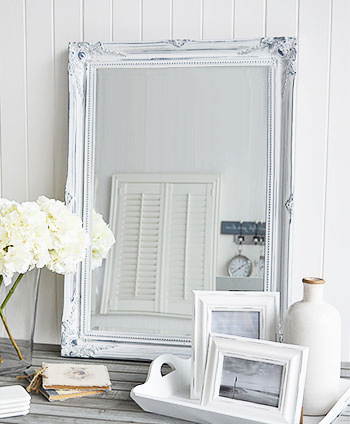 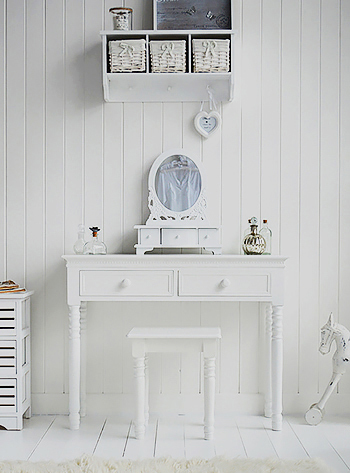 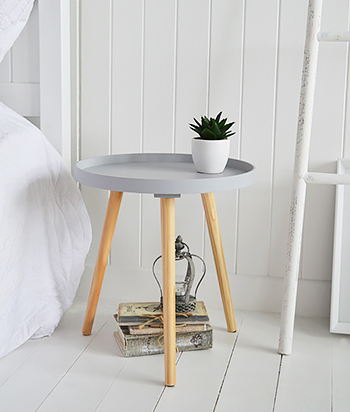 Consider adding a dressing table to your room, it offers a place to call your own..